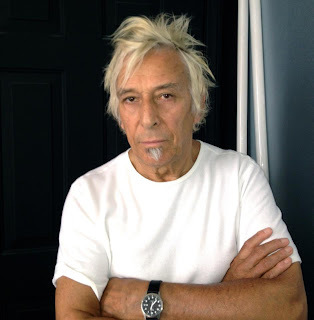 John Cale released his latest CD, Shifty Adventures in Nookie Wood, several months ago (October, 2012), and I’ve finally had the time recently to give it due attention and consideration. Cale is a Welsh musician, composer, and singer-songwriter, who came to prominence in the mid-60s as a founding member of the seminal rock band The Velvet Underground. In the ‘70s he pursued a triple-career in the music business: behind the scenes, first, as an A&R man for Warner Brothers and Elektra; then, as a record producer for some of the most interesting artists of the period; and, finally, as a solo artist putting out a series of fascinating and diverse albums. John Cale (not to be confused with J.J. Cale – the laid-back, American singer-songwriter, known as a purveyor of the so-called Tulsa Sound) is a classically-trained musician. His first instrument is viola, but he is also accomplished on guitar, bass, and keyboards. 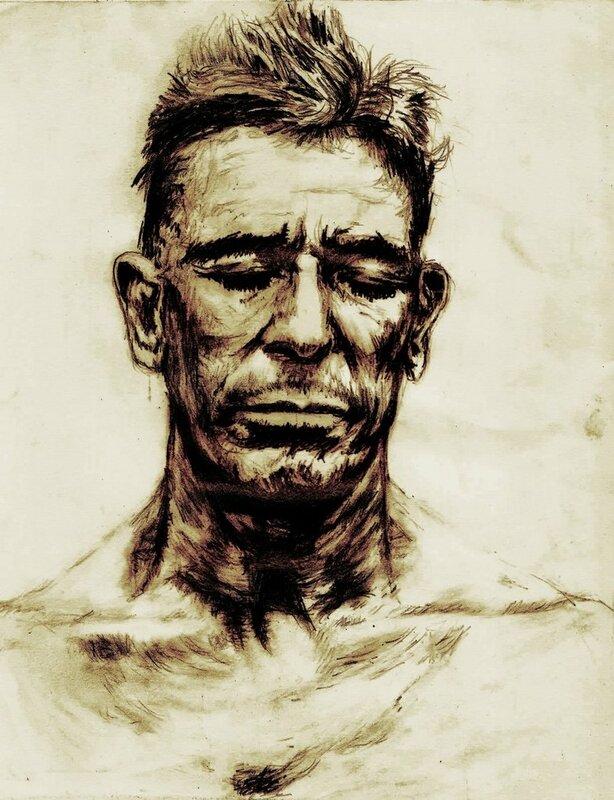 He studied music at Goldsmiths College, University of London in the early ‘60s – and got interested in avant-garde music – participating, for example, in a London concert produced by John Cage (Cale played piano). After moving to New York City in 1963 to pursue this interest in the avant-garde scene, Cale got involved in La Monte Young’s minimalist ensemble, the Dream Syndicate. In early ‘65 he co-founded The Velvet Underground with Lou Reed. The drone-laden sound Cale had explored with the Dream Syndicate heavily influenced his work with The Velvets: the songs “Venus in Furs” and “Heroin”, for example. He also championed the use of cacophony: viz. the pounding piano noise in “I’m Waiting for the Man”, and “All Tomorrow’s Parties”. Lou Reed may have been the band’s lead singer and primary songwriter, but it was Cale who had the most to do with the band’s experimental sound. He plays viola, bass and piano on the first two LPs – The Velvet Underground & Nico (1967), and White Light/White Heat (1968). The relationship between Reed and Cale became fraught with tension - because of creative differences, but also because of a clash of personalities. 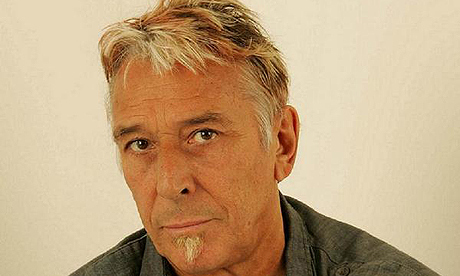 John Cale left the group in 1968. Some say he was ousted by Reed, who engineered a coup d’état by giving the rest of the band an ultimatum: it’s him or me – choose. Following his split with the Velvets, Cale began working as a record producer. Some of the notable LPs he produced in the early days were the debut albums from both The Stooges (1969), and The Modern Lovers (recorded in ’71 and ’72, but not released until 1976). He also arranged and played nearly all the instruments on Nico’s second album, Marble Index (1969), produced by Frazier Mohawk. 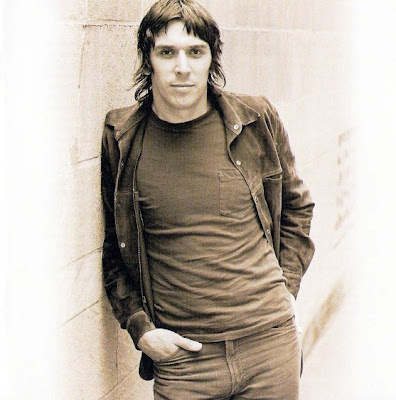 Later on he also produced debut LPs for Patti Smith – Horses in 1975 – and Squeeze (1977). An impressive record of introducing new and innovative musicians to the mainstream. A couple of years later John Cale began putting out solo albums of his own. For Columbia Records, he released Vintage Violence (1970), a rock LP with a set of folk-pop songs (Rolling Stone’s Ed Ward described it memorably as “a Byrds album produced by Phil Spector marinated in burgundy, anise and chili peppers”) and Church of Anthrax (1971), a set of minimalist pieces created in collaboration by Cale and Terry Riley. 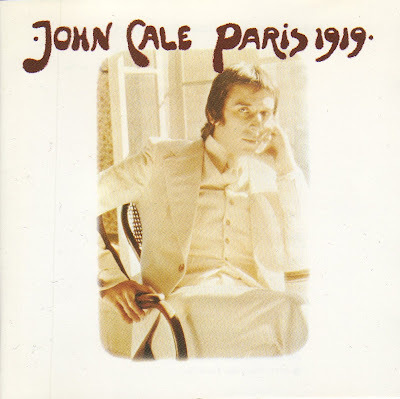 The cover of John Cale's 1973 LP, "Paris 1919"
Then, switching to Reprise Records, for whom he worked as an A&R man, he put out The Academy in Peril (1972), a rock-classical fusion of instrumental pieces (two of which feature The Royal Philharmonic Orchestra) – dismissed, typically, by Robert Christgau with the pithy statement: “There must be more straightforward ways of imperilling the academy than mock-classical, mock-soundtracks.” This mis-step was followed by the majestic, and more traditional Paris 1919 (1973) – a gentler, baroque-rock sound – which, despite the enigmatic lyrics, was the most accessible of these first four albums, thanks, partly, to the backing band, which featured three members of Little Feat (Lowell George, Wilton Felder, and Bill Payne). After a decade in New York City and southern California, Cale moved back to London in 1973. 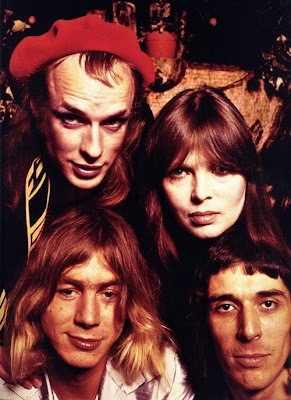 He quickly fell-in with like-minded rock musicians there, and hit a creative – if not commercial – peak with three albums in the mid-70s for Island Records: Fear (1974), Slow Dazzle (1975), and Helen of Troy (1976). Joining him on stage and in the studio were the likes of Brian Eno, Phil Manzanera, Chris Spedding, and Phil Collins. After Cale left Island, they put out a best-of album called Guts (1977). And twenty years later came The Island Years (1996) a double-CD containing all three albums, and some out-takes and B-sides. It’s the one to pick up if you want to check out much of the best of his early stuff (and to get it at a reasonable price). Shifty Adventures in Nookie Wood is John Cale’s fifteenth studio album, released in early October of last year by Double Six Records – as a digital download, a CD, and a 180 gram vinyl LP. It’s his first album since blackAcetate in 2005. The opening track, “I Wanna Talk 2 U”, a collaboration with musician/producer Brian Burton (aka Danger Mouse), was released as a single in July 2012. And that was followed by a second single release – “Face to the Sky” – at the end of August. 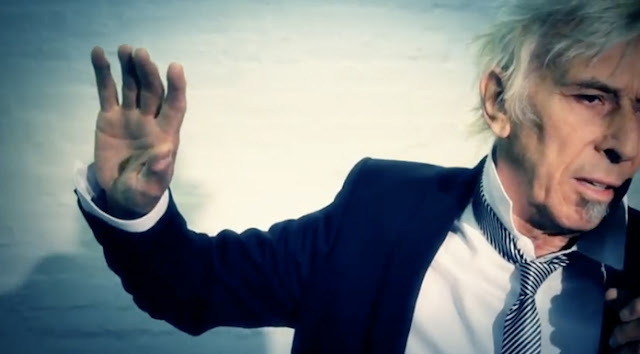 Cale in a video for the single, "Face to the Sky"
Apart from Danger Mouse’s single contribution to the album, the key figures in this enterprise were John Cale – who produced everything else on the CD, wrote all the songs (apart from the opening track, co-written and produced by Brian Burton), did all the lead vocals, and played keyboards, synths, guitars, viola and bass – and Dustin Boyer, who recorded the album and provided backing vocals and some guitar and synth parts. Also on the album are Michael Jerome Moore (drums), Joey Maramba and Erik Sanko (both on bass), and Cale’s daughter Eden – who does backing vocals on “Hemingway”. Most of the music for Shifty Adventures in Nookie Wood was recorded in Cale’s home studio in Los Angeles in 2011 and 2012. He says that most of the tracks began with him noodling about on the keyboard of an MPC mini-synthesizer. And then they grew steadily by adding layer after layer: the electronic drum parts, for example, were usually overdubbed with real drumming. And then bass guitar, viola and guitar were added. So the foundation of most tracks was a sound, or rhythm – not a finished song. And it shows. This is an album primarily of sonic experiments, instead of a coherent set of songs. I listened to this album over and over, giving it extra opportunities to impress. It’s a bad sign, usually – indicating a mediocre or dull effort. I wanted to like this album, but repeated listening failed to improve my response to it, failed to reveal any hidden gems. 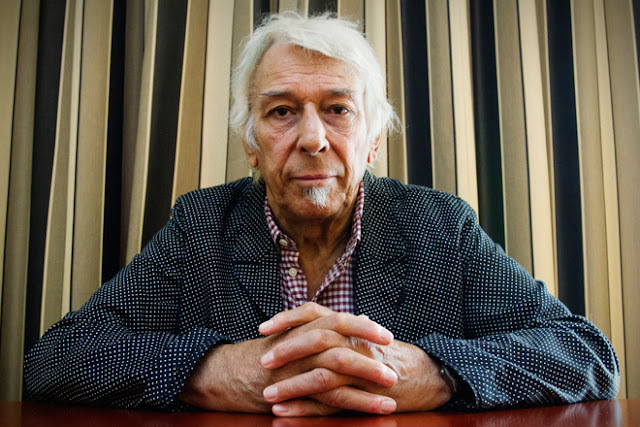 Part of the problem is the personality and attitude that Cale brings to his music. He has always been an ambivalent character – who can combine in the same album laid-back, pop-oriented songs and in-your-face, aggressive, expressions of fear and paranoia. Oftentimes, he’s perched uneasily in between – and it’s not always easy to discern where he’s coming from. On top of that, his aloof persona and abstruse lyrics create a stance that is difficult to penetrate. If the music is warm and approachable – I’m thinking of an album like Paris 1919 here – he can get away with it. But if the music is cold and hard, like the synthetic and electronic stuff on here, the entire effect is alienating – which is problematic for an artist placed ostensibly in the singer-songwriter tradition. And there’s no getting away from the fact that there is a vitriolic undercurrent to many of these songs. But the combination sounded wrong again. Living, as if you’ve done something wrong. Track 3, “Hemingway”, is a song about the famous American author – focused on his trip to Spain during the 1930’s Civil War. Cale thinks that Hemingway was traumatised by the experience (“you saw Guernica fall”) coming away from it with a “thousand-yard stare”. Interesting idea, but not accurate. Hemingway was not in Guernica during the brutal carpet-bombing the city suffered from the Luftwaffe. The track ends with a classic piece of Cale-cacophony – banging down randomly on the keys of an acoustic piano. 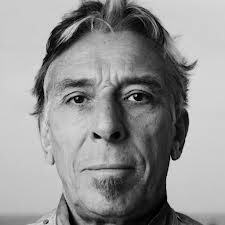 “Face to the Sky” is the first, and best, of a long run of tracks that use auto-tune and vocoder – at various levels of intensity – to manipulate John Cale’s vocals. Used sparingly, I can deal with it – but when the effect is laid on thickly (as it is in “December Rains” and “Mothra”) and over half-a-dozen tracks, I just find it very annoying. It’s not as if Cale needs the vocal support. He has a distinctive and expressive baritone voice that is able to convey meaning and emotion. If he thinks that the distorted vocals add interest and contemporary edge to the music, he is, unfortunately, mistaken. And why so much of it? With “Vampire Café”, the electronic aura of the music finally pays off. This track has a quirky poly-rhythm – featuring Michael Moore on drums and Cale doing a distinctive, lopey bass line. The lyrics are typically impenetrable, but the overall effect is brooding and atmospheric. “Midnight Feast” has a similar feel, but is not as interesting musically. We’ll have windows to look through. Has domestic bliss ever sounded as uninvolving as this? And the closing line is a real conundrum: “You wanna be living like me with you.” The inclusion of an acoustic guitar part, here, is a relief, after the interminable electronic gloss of most of the album. The closing track, “Sandman (Flying Dutchman)” is also a less-cluttered and more direct piece – dominated by guitar, viola overdubs, and lots of overdubbed vocals. It is a lovely, affecting conclusion – out-of-sync really with what has preceded it. Ironically, the track got stalled because Cale couldn’t decide what else to add – and so left it as is. Shifty Adventures in Nookie Wood is a classic piece of studio experimentation – focused too much on sonics and production techniques, and forgetting about the need for a good set of songs. 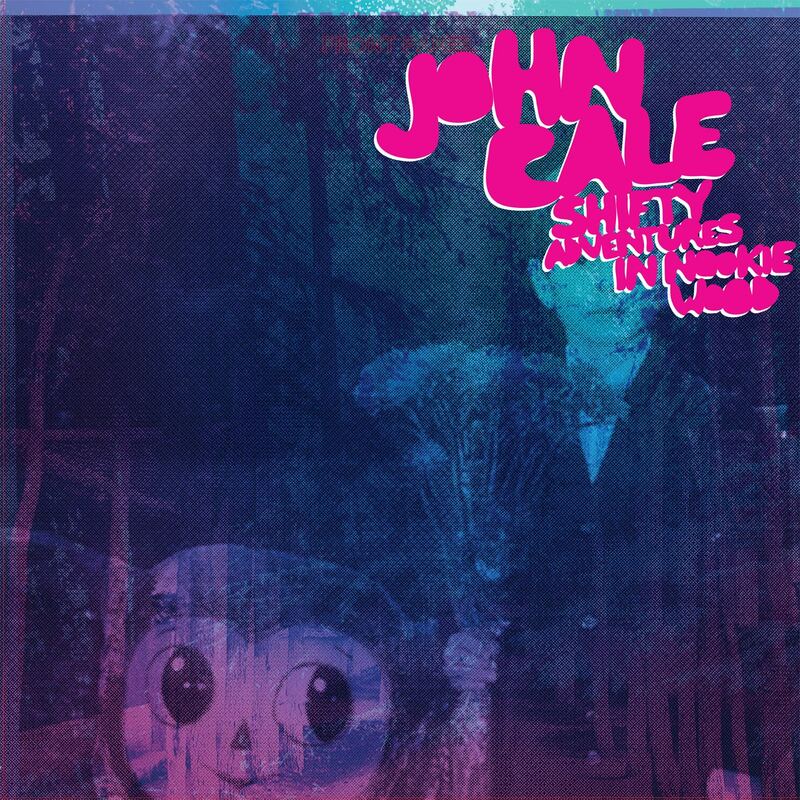 The songwriting is aimless and evasive – the vagueness increased often by Cale’s intellectual abstractness. Nothing much is a direct statement, here, or a clear sentiment. Cale tries to convince with vamped-up and energetic electronics. It’s not enough – the end-result is an adventurous and upbeat effort that is surprisingly inert and uninteresting. Eden is a 'daughter' not a son. I have fixed the mistake in my review.